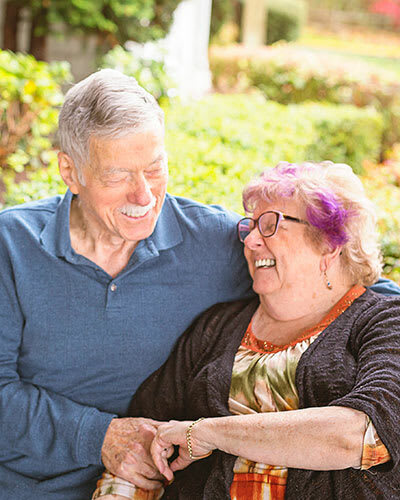 At King's Manor Senior Living Community, we go to great lengths to keep families involved in the care of their parents, grandparents, brothers or sisters. Regular family meetings and responsive communication with family members and King's Manor Senior Living Community staff is the key to ensuring the highest quality of care for our residents. Our dining services offer chef-prepared meals from a menu of delicious choices. View a sample menu and learn more about our nutrition choices at King's Manor Senior Living Community. We encourage families to be involved by attending special events, outings, and support groups, or by participating in our daily activities. Stay up-to-date on King's Manor Senior Living Community events for you and your loved ones. Learn more about local businesses and amenities surrounding King's Manor Senior Living Community for your next visit. Don't just take our word for it, read what others have to say about the positive differences our team and Community has made to their lives and the lives of their loved ones. Enhancing our amenities is a staff who understands the importance of each individual's needs for assistance. We'd love to introduce you to our King's Manor Senior Living Community team. What is assisted living and respite care? Our FAQ section is robust with answers to all your questions.